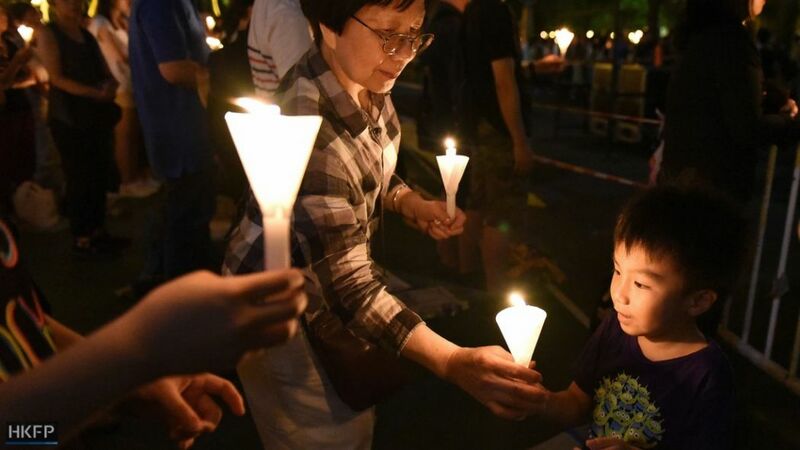 Saturday’s Victoria Park vigil commemorating the 1989 Tiananmen massacre took place amid a split with Hong Kong’s biggest student union, highlighting tensions within the city’s democratic movement. 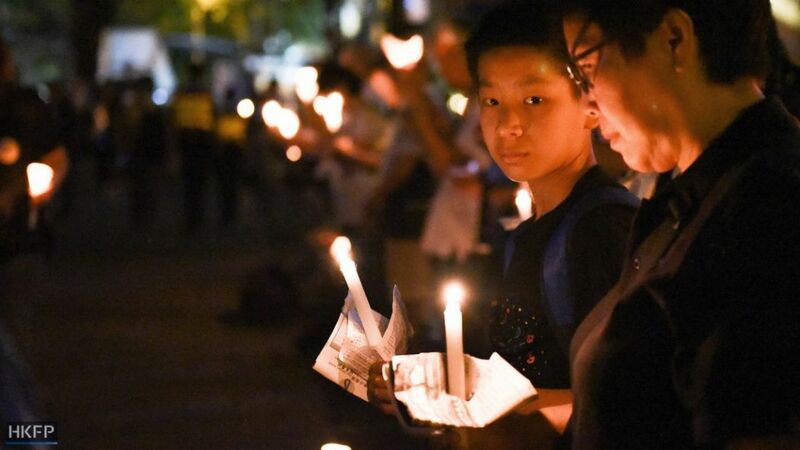 The Hong Kong Alliance in Support of Patriotic Democratic Movements in China, the event’s organiser, estimated that 125,000 attended the vigil, compared to 135,000 last year. 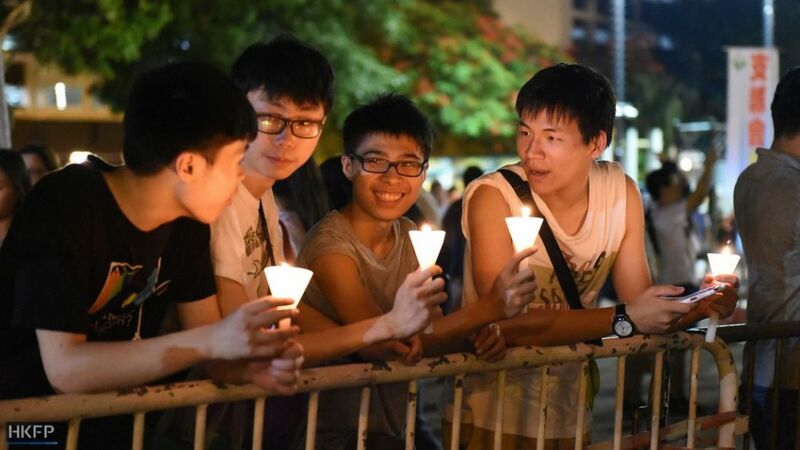 The Hong Kong Federation of Students (HKFS) announced in April that it was leaving the Alliance and boycotted the vigil to hold alternative events. The split was fueled by the division between the Alliance’s aspiration for a democratic China and localist sentiments for Hong Kong to have greater autonomy from the mainland. However, for many young attendees at the main vigil event, this did not impede the meaning of the commemoration. For Ming, a 15-year-old high school student who attended with a friend, the student union boycott represented politics that should be separated from the commemoration of the massacre. “We’re here to remember our comrades, not talk about politics. There are many other occasions to talk about politics. I don’t think they needed to boycott the vigil,” he said. 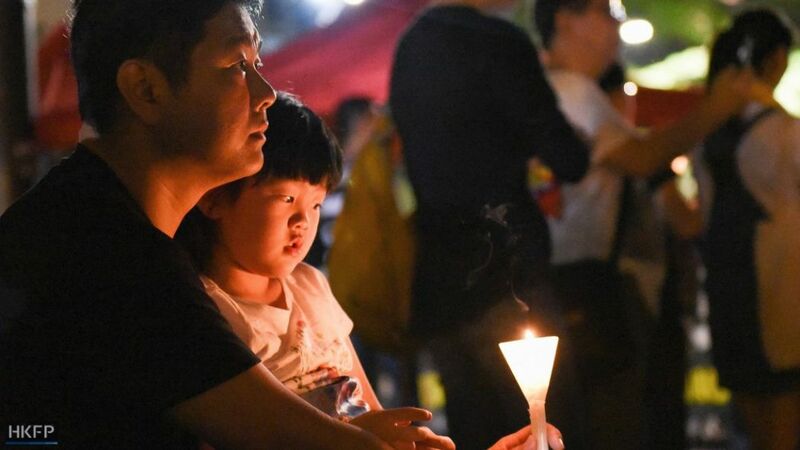 Vivian Lam, 24, who has been attending the vigil for the past five or six years, says it is her intention to mourn the victims and continue the spirit of the June 4th movement. “If the meaning of commemorating the victims is the same and only the method and location have changed, I don’t think it makes a difference,” she said. One of the biggest responses from the crowd came when a young student, Tong Hiu-yan, declared on stage that the student union didn’t represent her. Like Lam, she expressed that the method of commemorating the event was not as important as remembering the victims. 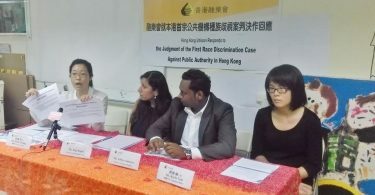 Echoing calls for freedom by speakers at the event, many said they attended in order to exercise their freedom of speech. “This event was a truth that can’t be erased. 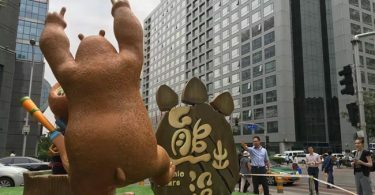 Before we [were] officially ruled – no, invaded – by the CPC [Chinese Communist Party], we should come while we still have a voice,” said Steven Yuen, an 18-year-old diploma student at a vocational college. 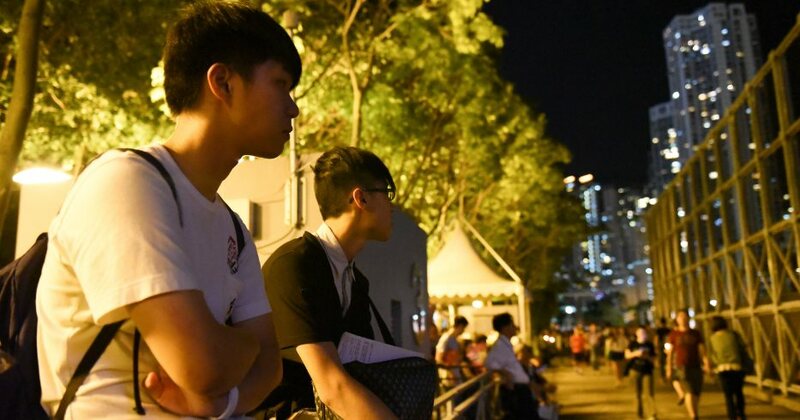 College students Steven Yuen and Leo Tang look on from the sidelines during the vigil in Victoria Park. Photo: Catherine Lai/HKFP. Tina Fung, who brought her 8-year-old son to the event, says she really wanted to attend because she was in the process of immigrating and may not be able to come next year. She says she will always remember what happened. “You won’t understand,” she said, her voice breaking. Labour Party lawmaker Lee Cheuk-yan at the vigil. Photo: Todd Darling. “[The vigil] is not about fighting for democracy for either HK or China, it’s about remembering the victims, giving them respect,” she said. Catherine is a Canadian journalist and photographer who lived in Beijing for almost two years, working in TV and online media. Aside from Hong Kong and mainland affairs, she is also interested in urban spaces, art and feminism. She holds a BA in Literature and Art History from the University of British Columbia.